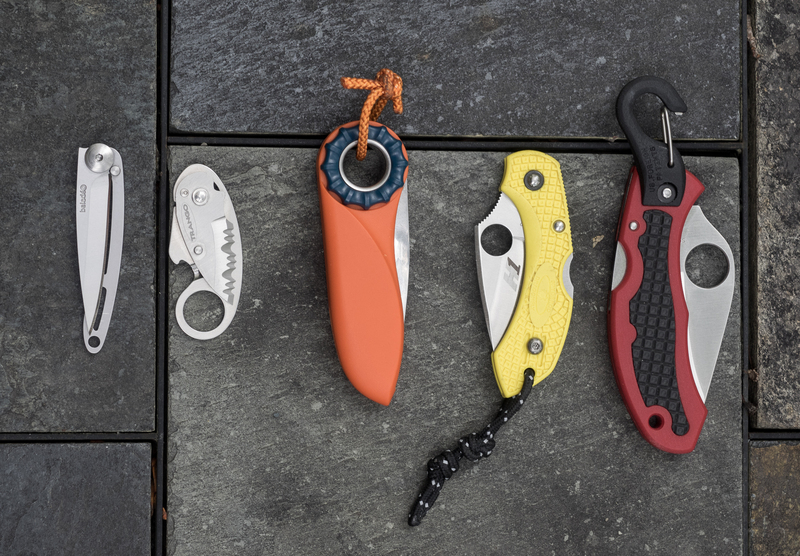 Since I wrote my last knife review, I’ve picked up a couple of new knives. 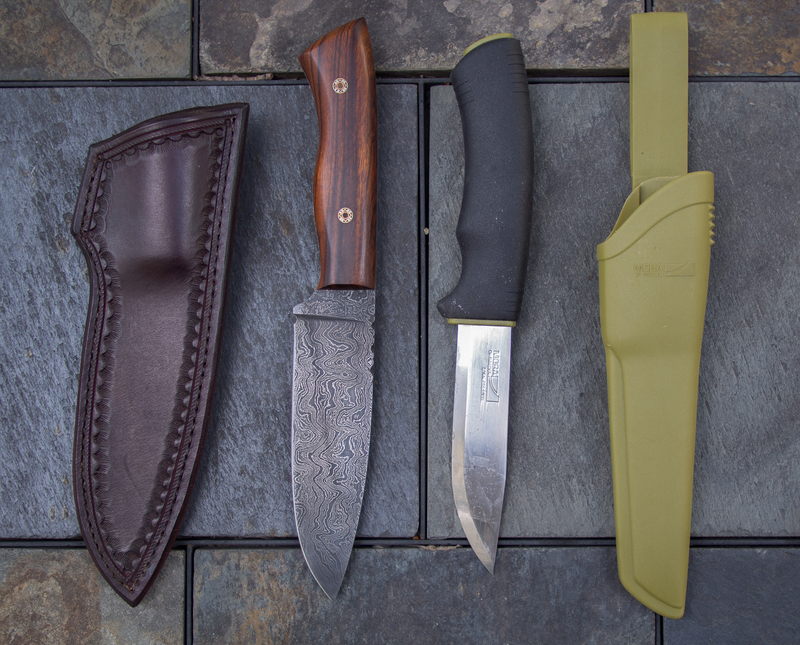 Both are fixed blade knives, but they are somewhat different in their design. The Chris Reeve one piece range has been around since the 1980’s, but this style of knife was discontinued in 2009. 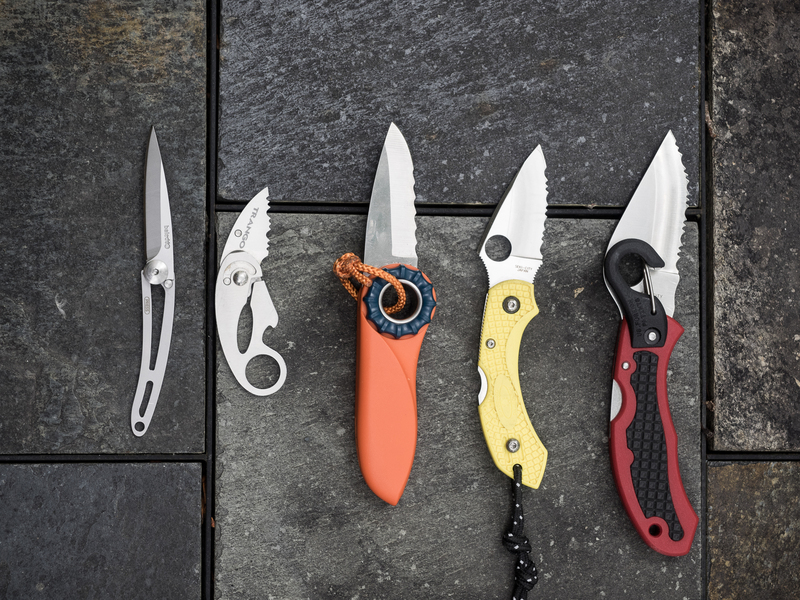 The distinguishing features of this range of knives are the hollow handle and the fact that the knife and handle are milled from a single piece of solid A2 tool steel. I’ve always wanted a Chris Reeve one piece knife, but never quite got around to purchasing one. With the range discontinued and the prices on the secondary market going higher and higher, I finally decided it was now or never, so I bit the bullet and bought one. 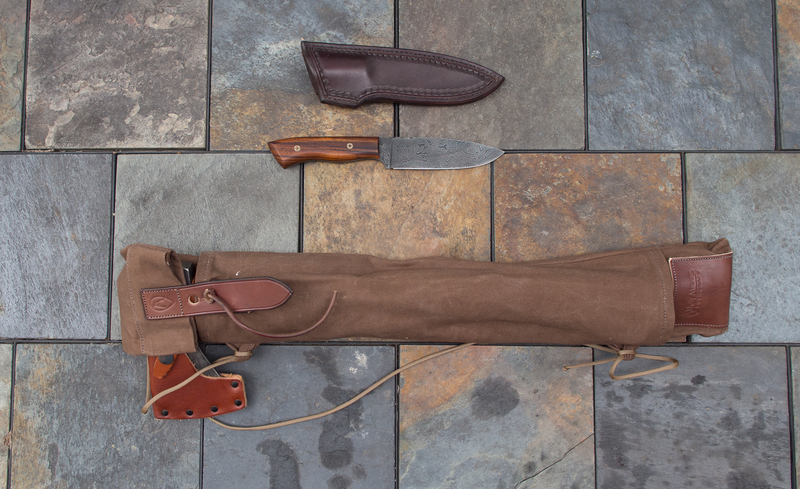 Chris Reeeve Tanto 1 and a Bow Drill Fire Set. 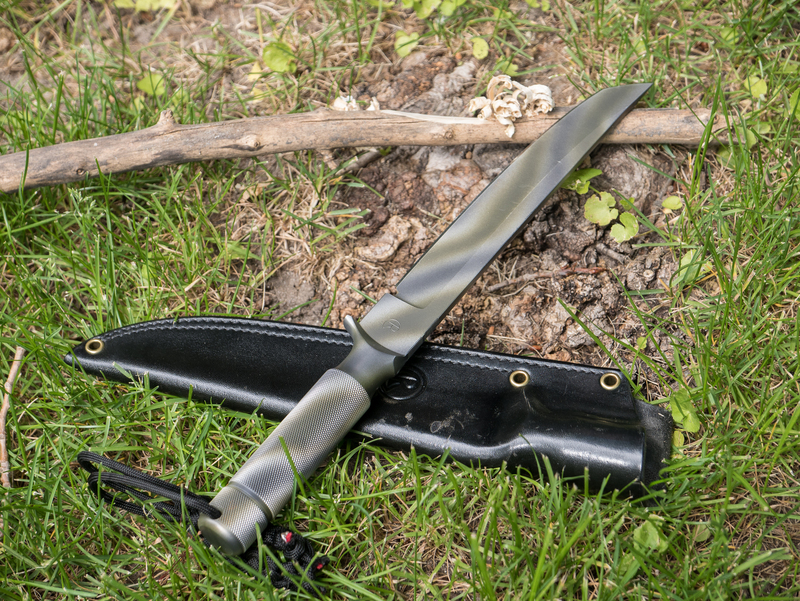 I’ve read some internet chatter about tanto blade designs not being well suited for a bushcraft and general survival knife. In use, I honestly haven’t been able to see much difference in the tanto blade design when compared with my various other knives. 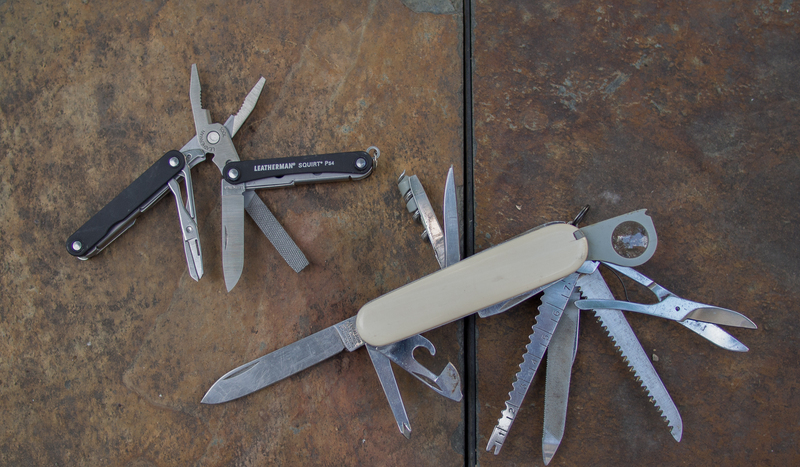 The blade on this knife certainly works well for battoning, and it performs adequately for other tasks as well. I don’t really do much delicate carving (I seldom have the need to carve a wooden spoon,) but the knife did well in making a bow drill fire set. 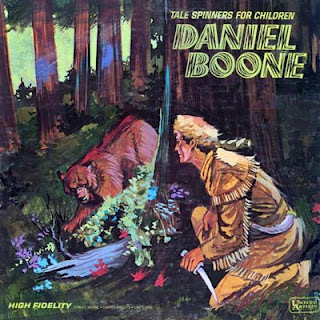 It was heavy enough to chop and fashion the spindle, and made quick work of splitting a fireboard, notching a groove, and forming a starter hole for the spindle. 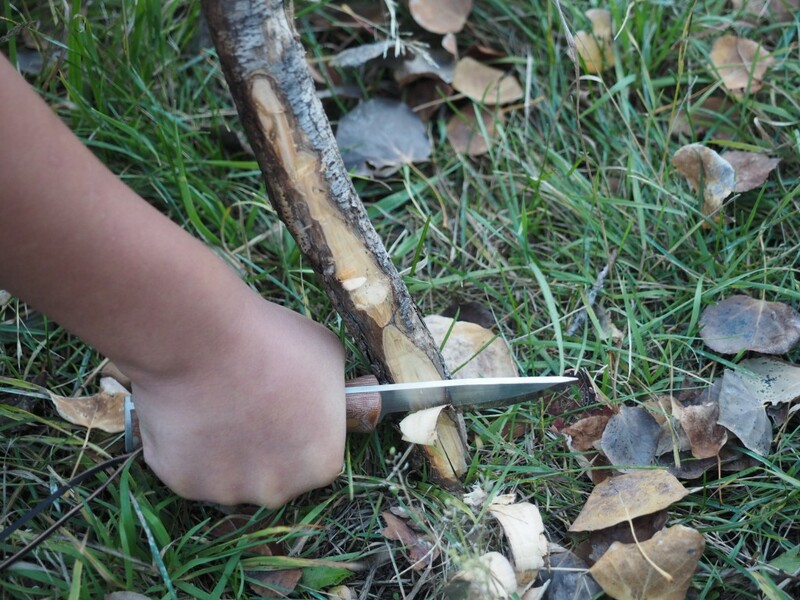 Processing bark for tinder is simple as well, and the tanto tip is good for prying bark off of logs. Even though the blade is a bit long for fine work, the fact that there is only a crossguard/quillon on the bottom of the handle and not on top makes it easier to choke up on the knife, effectively shortening the working length of the blade. There are grooves on the top of the blade where you can rest your thumb, providing a more secure grip when choked up. 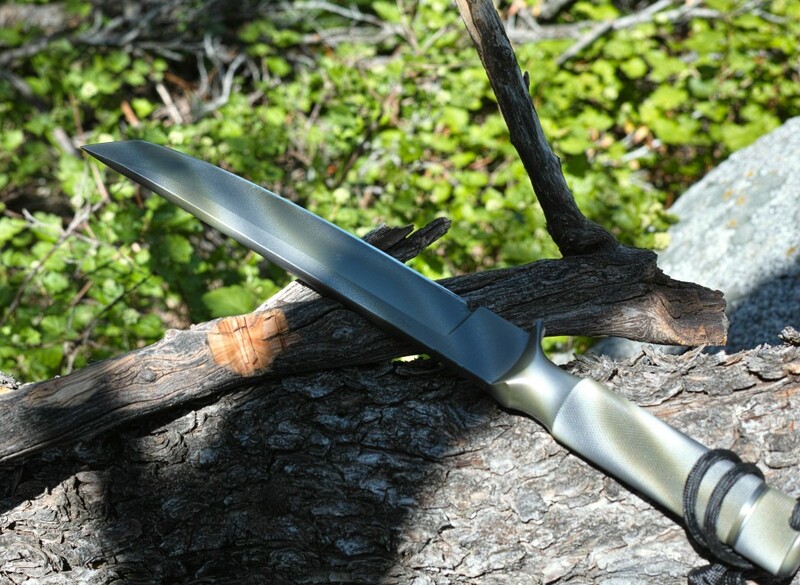 The A2 steel takes an edge easily, and retains the edge even while chopping hard woods. The signature design feature of this knife is the hollow handle. The handle is closed with an aluminum cap, and sealed with a rubber o-ring to make it water tight. There’s room in the hollow handle to store a few small items. 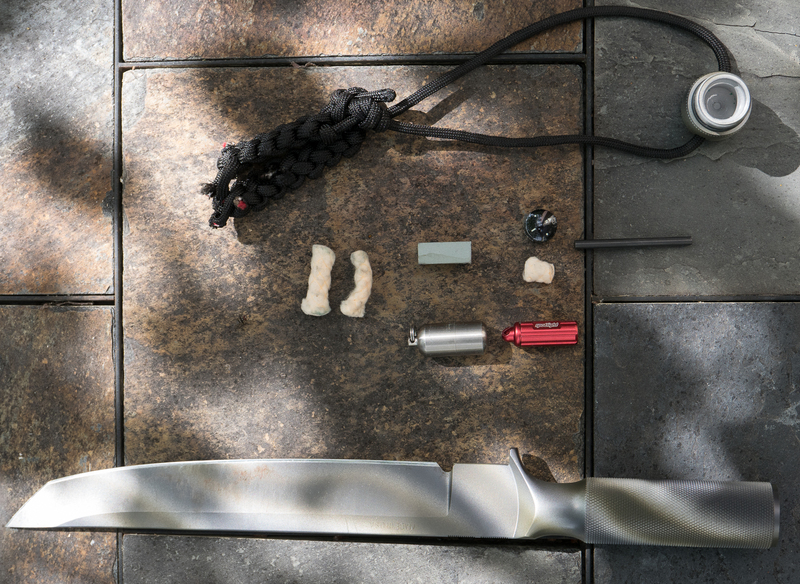 In the handle of my knife, I keep a small “peanut” lighter, an LED flashlight, a sharpening stone, a button compass (14mm is the perfect size to fit in the cap) a ferro rod, and a few tinder tabs. I have replaced the paracord that came with the knife with some “firecord” paracord that has a tinder cord embedded in one of the core strands of the paracord. I’ve been changing out the contents and experimenting with what will fit in the handle. I may try putting in some fishing line and hooks at some point. The bottom line is that I really quite like this knife. It performs basic cutting tasks well, especially chopping, and the ability to store things in the handle is a useful feature, as it gives you a single solution for a number of survival needs. 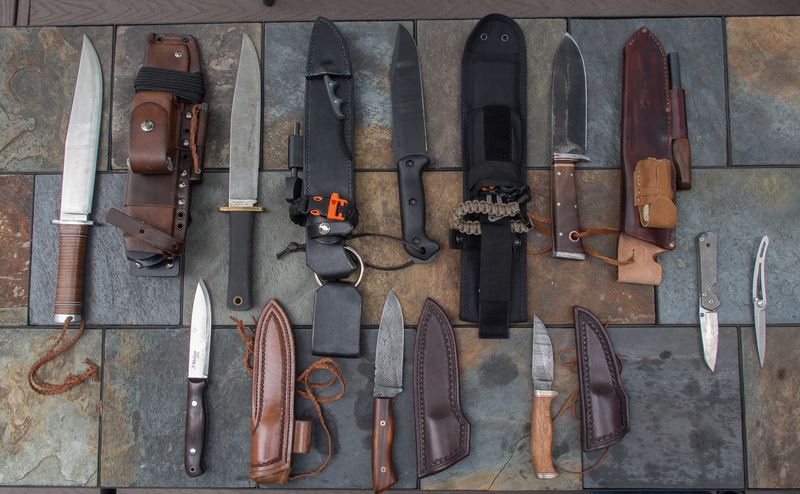 It’s just too bad that these knives are out of production, as it will make them increasingly expensive and difficult to procure. 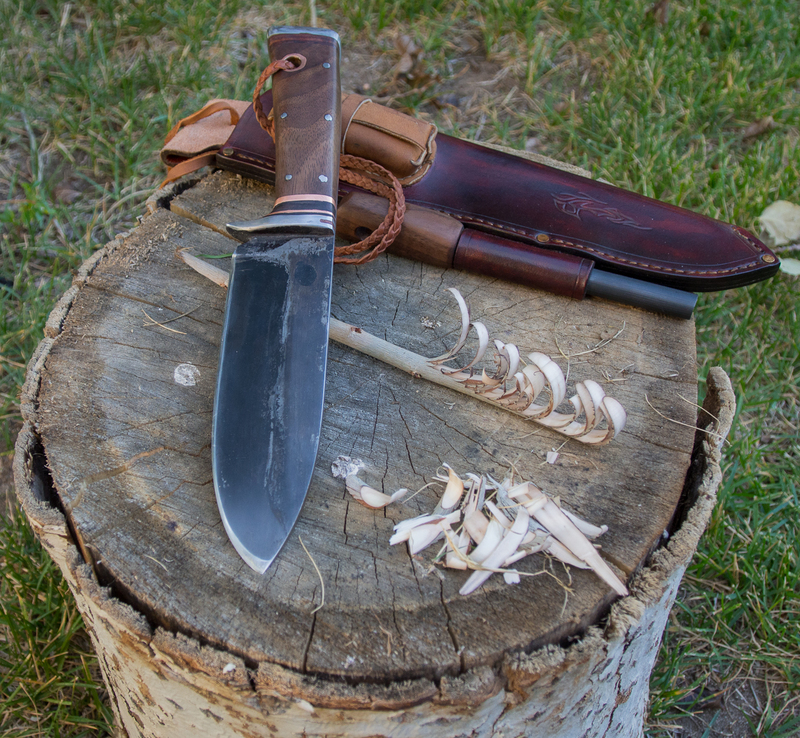 The Skookum Bush Tool is another knife that’s difficult to come by; not because it’s out of production, but because there’s a multi-year waiting list to purchase one. I put my name on the list a while back, and then forgot about it. I was surprised when I got contacted by Mr. Garcia to let me know that my knife was finished. After more than a year having passed, I only vaguely remembered that I had ordered a knife from him. However, I happily took delivery of the knife, and have been using it ever since. I chose the O1 because I wanted something that would make a spark with natural flint. In use, I have found the O1 steel to hold an edge well, and sharpen very easily. I really like the handle on the Skookum Bush Tool. The Micarta scales are comfortable, and contoured nicely to fit my grip perfectly. 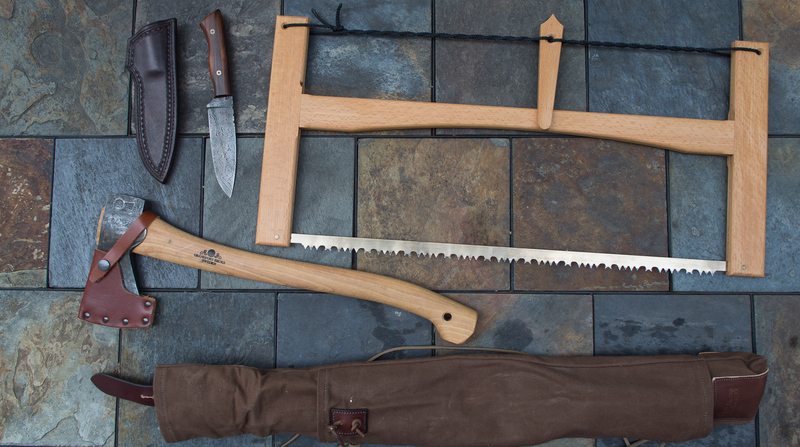 The blade shape and length are good for fine work, carving, and cleaning fish. You can do some light batonning with the knife, but the blade is short enough that you’re limited in the size of the sticks you split. The blade shape and ergonomics are perfect for shaving fuzz sticks and other fire making duties. 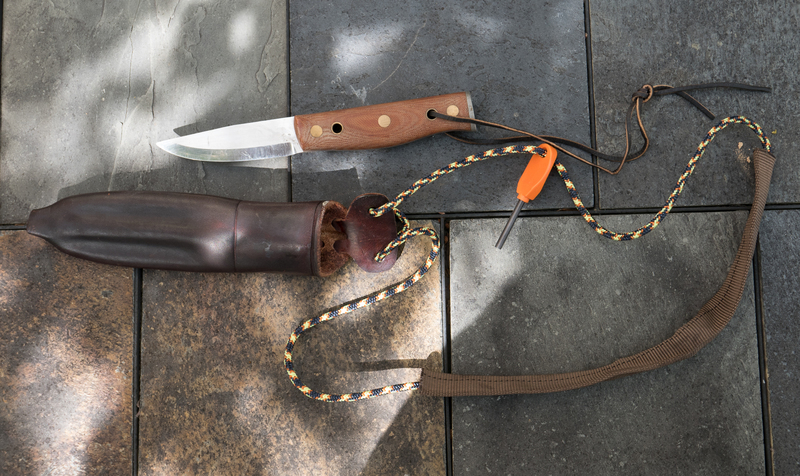 The sheath that came with the knife is set up for neck carry, and has good retention. I made a neck lanyard our of some paracord and a piece of 1 inch climbing tape. I threaded a ferro rod sparker on the lanyard for easy fire making. I tend to just keep it in its sheath on my neck while I’m around camp. The grip on this knife is very comfortable and ergonomics are perfect. 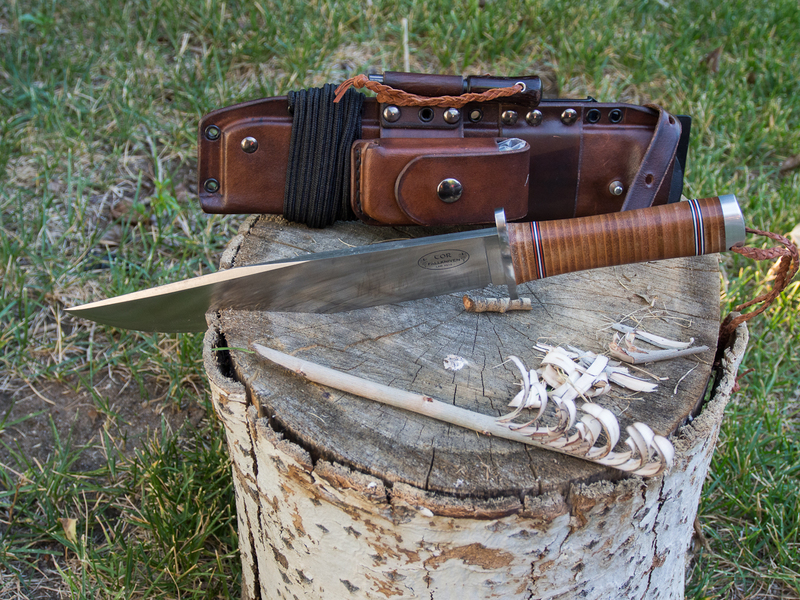 The Skookum Bush Tool has a somewhat cult-like following in the bushcraft and blade communities. I can’t say that this is the best knife ever, but I do think it’s a very functional, well crafted knife, and the price (about $200) is very reasonable. It has become my favorite smaller fixed blade knife. It’s not fancy, or particularly beautiful, but it does what a knife should do and does it very well. It is indeed a “tool” and I’m able to treat it like one without fear of damaging it. 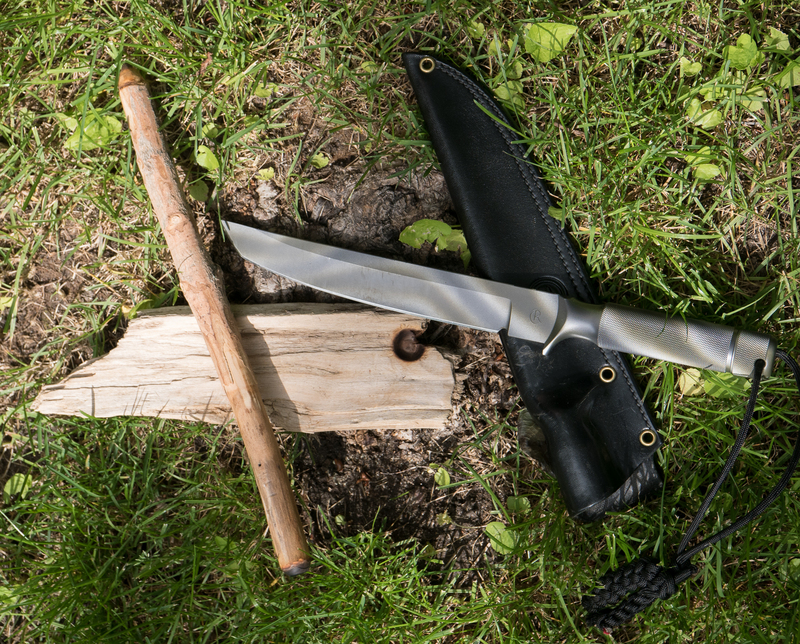 For anyone who wants a good, functional bushcraft knife, and can put up with the waiting time required to obtain it, I can whole-heartedly recommend the Skookum Bush Tool.